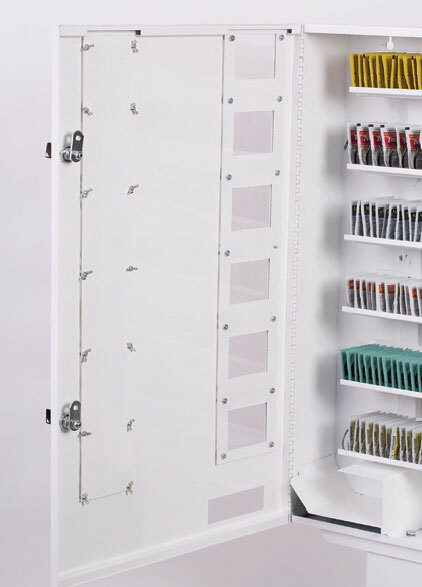 Holds up to 200 items! 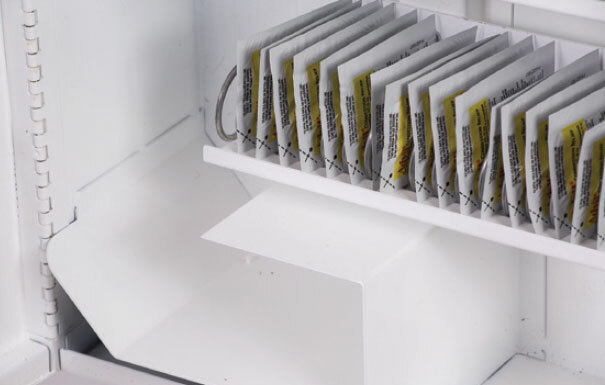 This rugged medical vending machine mounts on the wall and its streamlined design blends well with any decor. 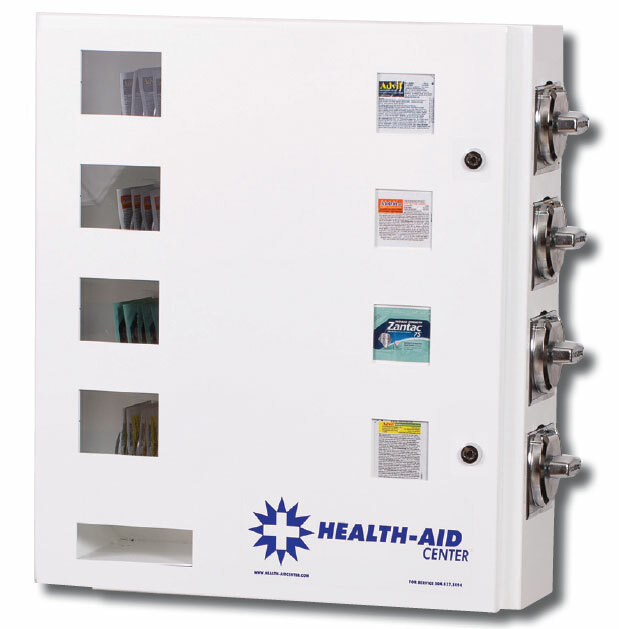 Offer convenience by vending a variety of first aid or non-prescription drugs and personal hygiene products in dorms, motels, resorts, and camps where these products are always needed.